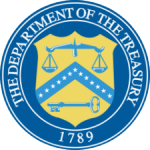 Washington – Today, the U.S. Department of the Treasury's Office of Foreign Assets Control (OFAC) designated CVG Compania General de Mineria de Venezuela CA, or Minerven, the Venezuelan state-run ferrous metals mining company, and its President, Adrian Antonio Perdomo Mata, targeting the illicit gold operations that have continued to prop up the illegitimate regime of former President Nicolas Maduro. Today's action, taken pursuant to Executive Order (E.O.) 13850, as amended, targets an entity and an individual that operate in the gold sector of the Venezuelan economy. "The illegitimate Maduro regime is pillaging the wealth of Venezuela while imperiling indigenous people by encroaching on protected areas and causing deforestation and habitat loss. Maduro's scheme to usurp the National Assembly's authority and strip Venezuela of natural resources has exposed local communities to dangerous toxins," said Treasury Secretary Steven T. Mnuchin. "Treasury is targeting gold processor Minerven and its President for propping up the inner circle of the corrupt Maduro regime. We will aggressively pursue those involved with Maduro's reckless illicit gold trade which is contributing to this financial, humanitarian, and environmental crisis." Maduro and regime insiders turned to gold mining as they sought new means by which to enrich themselves at the expense of the Venezuelan people. Without approval of the National Assembly, and without regard for the environment and local communities, Maduro awarded himself broad authorities to oversee the development of the Orinoco Mining Arc years ago. The mining and subsequent sale of gold has been one of the Maduro regime's most lucrative financial schemes in recent years, as hundreds of thousands of miners have mined for gold in dangerous, makeshift mines in southern Venezuela, all of which are controlled by the Venezuelan military, which, in turn, corruptly charges criminal organizations for access. These miners and their communities are exposed to environmental abuses, as dangerous toxic elements, like mercury, are used in the mining process. Additionally, violent crimes, including homicides, have become increasingly prevalent in these mining communities. As the sole state gold processor in Venezuela, Minerven purchases gold from miners and melts it into bars. The military then transports the gold bars to air bases outside Caracas, for further transport to the Central Bank of Venezuela. Since 2016, the Maduro regime purchased the equivalent of hundreds of millions of dollars' worth of gold from small, independent miners, paying the miners in Venezuelan bolivars, even as Venezuela is experiencing hyperinflation as a result of extreme economic mismanagement. This practice has allowed the illegitimate regime to convert its depreciating currency into gold and other foreign currencies, paying the miners in nearly worthless Bolivars, while allowing the Maduro regime a lifeline to cling to power. The profits generated by illegal mining directed by Maduro are coveted by the Venezuelan military, to whom Maduro grants liberal access to the mines. This furthers Maduro's ability to maintain power over the military, as its desire to protect this illicit income reinforces the military's staunch loyalty to Maduro. Even as Venezuelan interim President, Juan Guaidó, was recognized by the United States and over 50 other countries as the legitimate authority in Venezuela, Maduro has been unwilling to relinquish his control of the gold mining industry or his financial interests in this illicit trade. Minerven is based in El Callao, Bolivar, Venezuela. Minerven is owned by the Government of Venezuela's Ministry of Popular Power of Oil and Mining, and was created for the purpose of mining and trading in non-ferrous metal ores, such as gold. For information about the methods that Venezuelan senior political figures, their associates, and front persons use to move and hide corrupt proceeds, including how they try to exploit the U.S. financial system and real estate market, please refer to FinCEN's advisories FIN-2017-A006, "Advisory on Widespread Public Corruption in Venezuela," and FIN-2017-A003, "Advisory to Financial Institutions and Real Estate Firms and Professionals." As a result of today's action, all property and interests in property of this entity and individual, and of any entities that are owned, directly or indirectly, 50 percent or more by this entity and individual, that are in the United States or in the possession or control of U.S. persons are blocked and must be reported to OFAC. OFAC's regulations generally prohibit all dealings by U.S. persons or within (or transiting) the United States that involve any property or interests in property of blocked or designated persons.